BERLIN - The Berlin-Peck Memorial Library has several events scheduled this month. 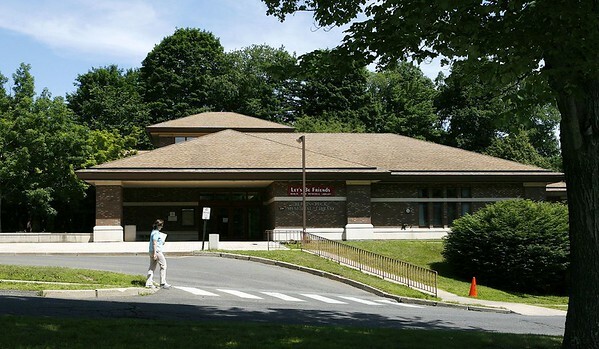 The library is at 234 Kensington Road and can be reached at 860-828-7125. Stock Club: Tuesday, Oct. 9 at 1:30 p.m.
Waking Up Tired? Could It Be Sleep Apnea? Tuesday, Oct. 9 at 6:30 p.m. Learn about Sleep Apnea with Dr. Brown, chief medical officer of Berlin’s Kathy’s Urgent Care. Registration required. Senior Center Book Club: Wednesday, Oct. 10 at 1:30 p.m. This month we’re reading Notorious RBG: The Life and Times of Ruth Bader Ginsburg. Contact the library for a copy. Registration required. International art dealer Ron Hall must befriend a dangerous homeless man in order to save his struggling marriage. One of Windsor: The Untold Story of America’s First Witch Hanging: Saturday, Oct. 13 at 1 p.m. Author Beth M. Caruso will discuss her book “One of Windsor,” a chilling story about Connecticut’s first victim of the Connecticut witch trials. Books will be available for sale/signing after the event. Register. Author Joe Clifford: Wednesday, Oct. 17 at 6:30 p.m.
Join Berlin native Joe Clifford as he discusses his latest works, “Broken Ground” and “The One That Got Away,” as well as the re-release of his 2013 book, “Junkie Love.” Copies of his books will be available for purchase/signing. Registration required..
Make & Take: Glittered Pumpkins: Thursday, Oct. 18 at 6:30 p.m. Turn a plain pumpkin into something amazing! Please bring one foam pumpkin approximately 6 inches or smaller or two to three mini foam pumpkins. Registration required. T’Challa, heir to the hidden kingdom of Wakanda, leads his people to a new future and confronts a challenger from his past. Adult Book Club: Saturday, Oct. 20 at 10:30 a.m. This month we’re reading Atonement by Ian McEwan. Contact the library for a copy. Register. Mount Everest: In Search of Snow Leopards & Adventure at the Roof of the World: Saturday, Oct. 20 at 1 p.m.
Join Dr. Benfield as he discusses his journey to Mount Everest’s Sagarmatha National Park and the search for snow leopards. Registration required. Cookbook Club: Monday, Oct. 22 at 6:30 p.m. This potluck-style book club tackles a new cookbook every month! Contact the library to register, obtain a copy of this month’s book: “Dinner Solved,” and let us know what you’d like to bring. Registration required. NBSO String Quartet: Wednesday, Oct. 24 at 6:30 p.m.
Join us for a mini-concert from the New Britain Symphony Orchestra. Registration required. Open Sew: Saturday, Oct. 27 drop-in from 10:30 a.m. - 3:30 p.m.
Posted in New Britain Herald, , Berlin on Sunday, 7 October 2018 21:20. Updated: Sunday, 7 October 2018 21:23.